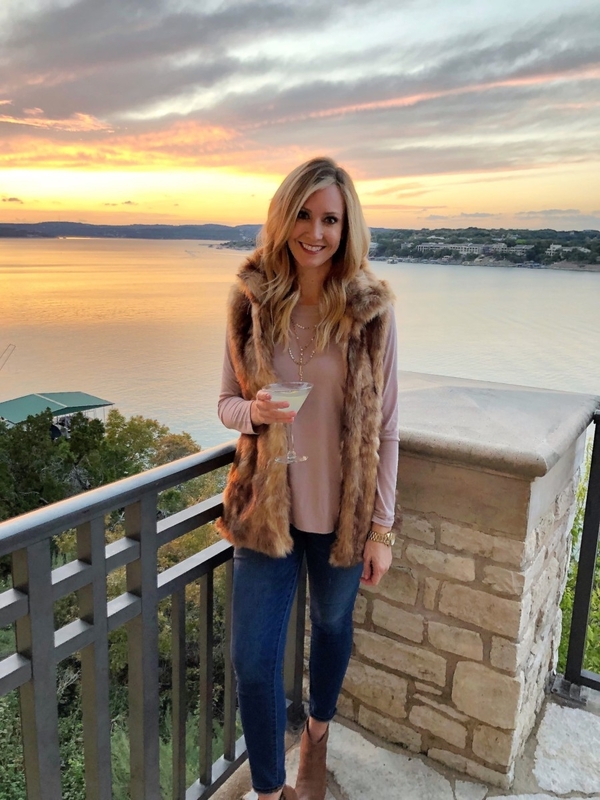 A few weeks ago my sister-in-law Vanessa and I decided to take a little winter staycation to the Lakeway Resort and Spa. We needed a serious reboot before the hustle and bustle of the holiday season began. We were both feeling drained from multiple kids in sports, husbands traveling and gearing up for the holidays. 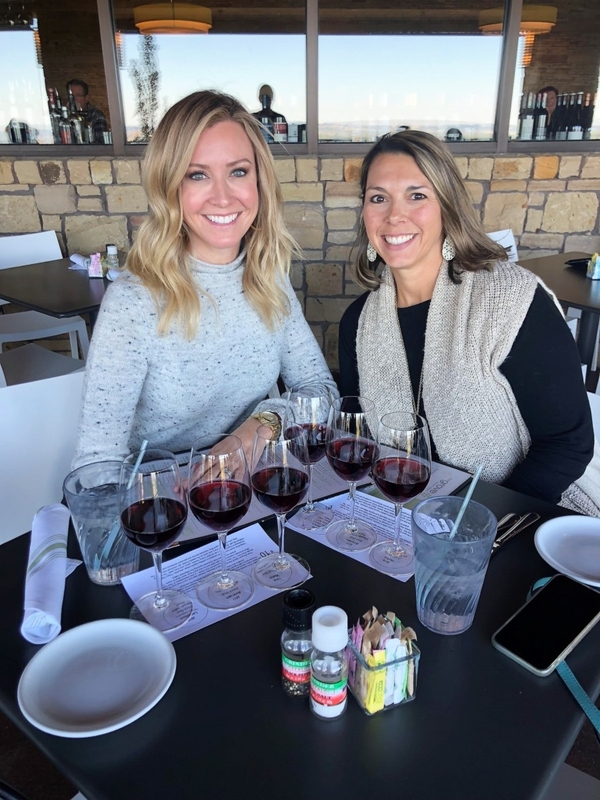 There is just something about a girls weekend that fuels the soul! 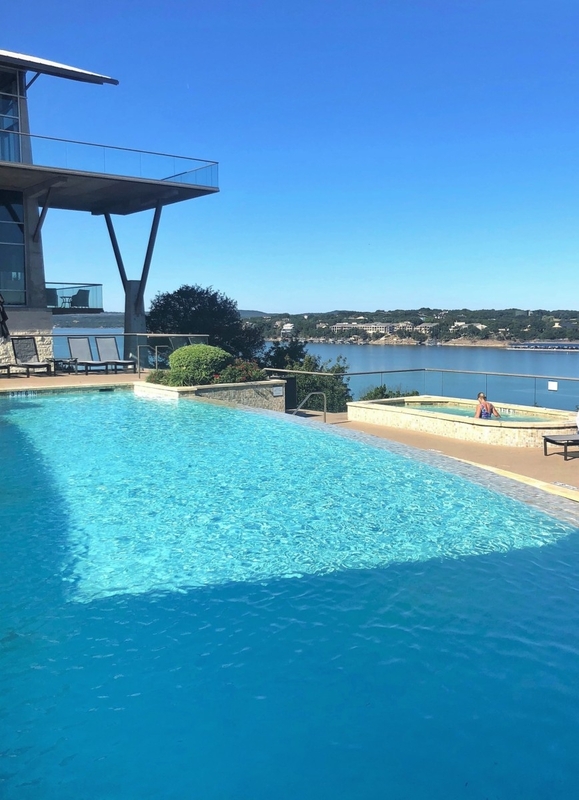 My sister-in-law actually lives in Austin and I lived in Austin for four years, yet neither of us had been to Lakeway. 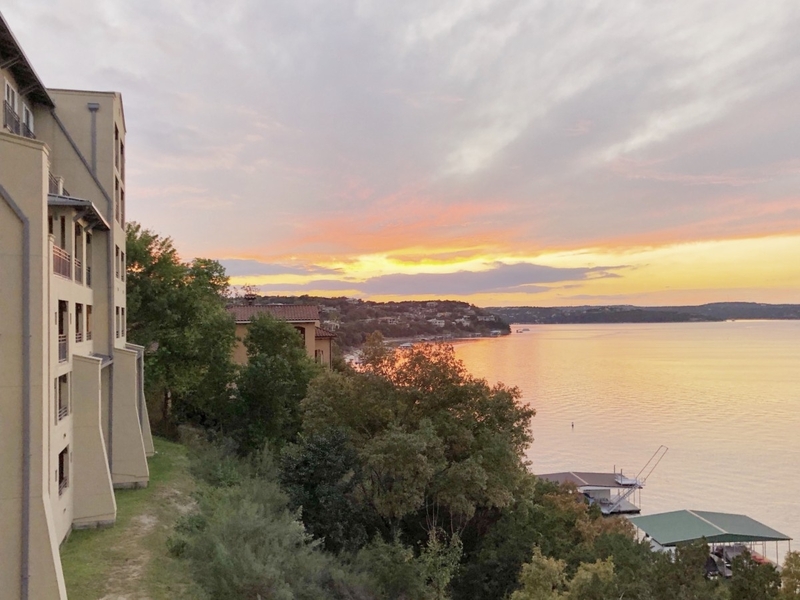 If you are not from Texas, the Lakeway Resort and Spa is located on the southern end of Lake Travis about 30 minutes from downtown Austin. Being from Houston, the resort was an easy 3 hour drive. 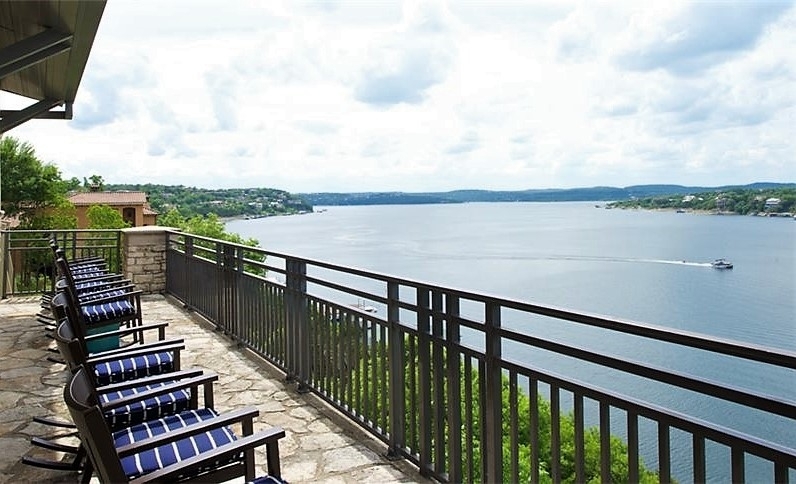 The resort features breathtaking views of the lake, amazing pools, kids club, spa and a top notch restaurant. The resort has a really fun kids pool and an adult pool with swim up bar. Two of the pools are heated which is nice when the temps drop. You can rent a cabana with your own personal fridge! From the second we arrived to the second we left, the staff and service was top notch. Our room had a lakeview room and boy was the view beautiful! Next, we headed down to the Back Porch Bar for a cocktail and to watch the famed sunset on the deck. For dinner we stayed on the resort property and ate at the TR Restaurant and Bar. We started with the peppered pork belly and a lemon drop cocktail. 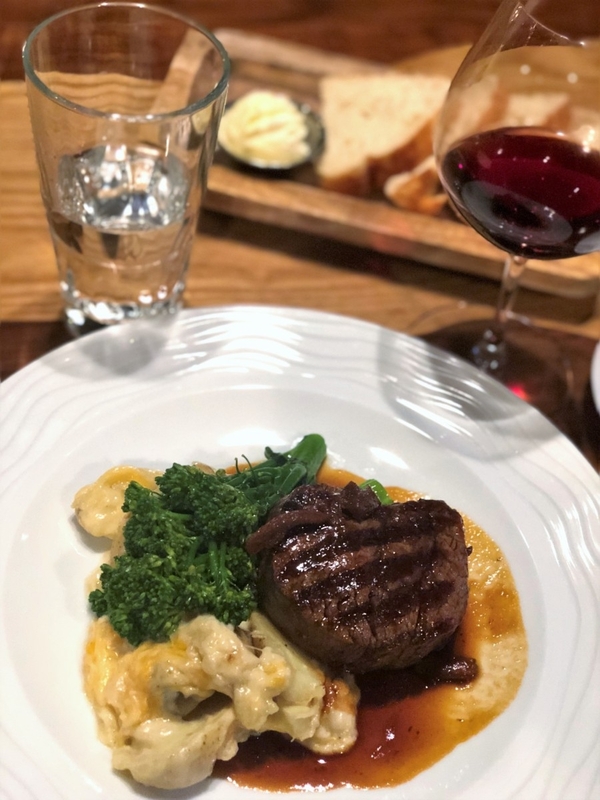 For dinner, I had the filet with au gratin potatoes and broccolini with a nice glass of red wine. 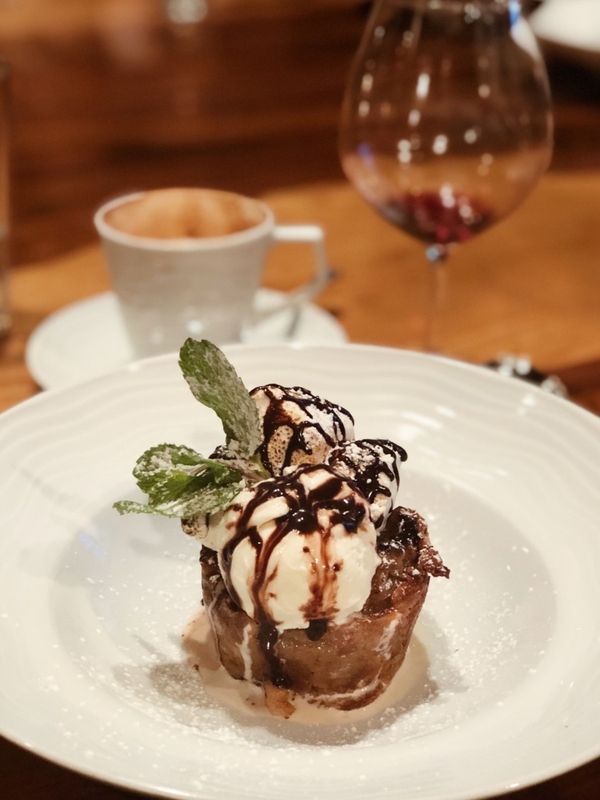 For dessert we split the s’more bread pudding. Everything was cooked to perfection! 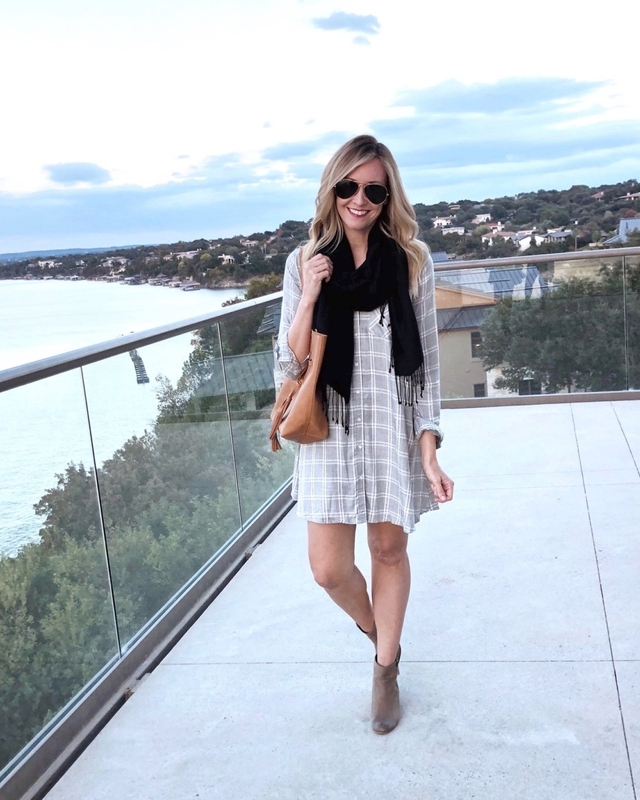 We started day 2 off with coffee on the balcony and then headed to the spa for some R&R. We both had a massage and body scrub that was heavenly. 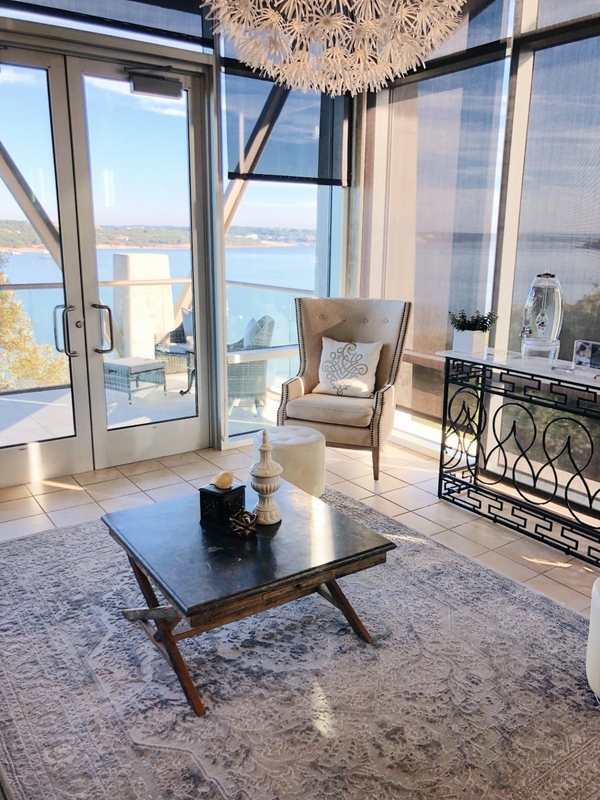 The spa lounge is located in a room with ceiling windows overlooking the lake. 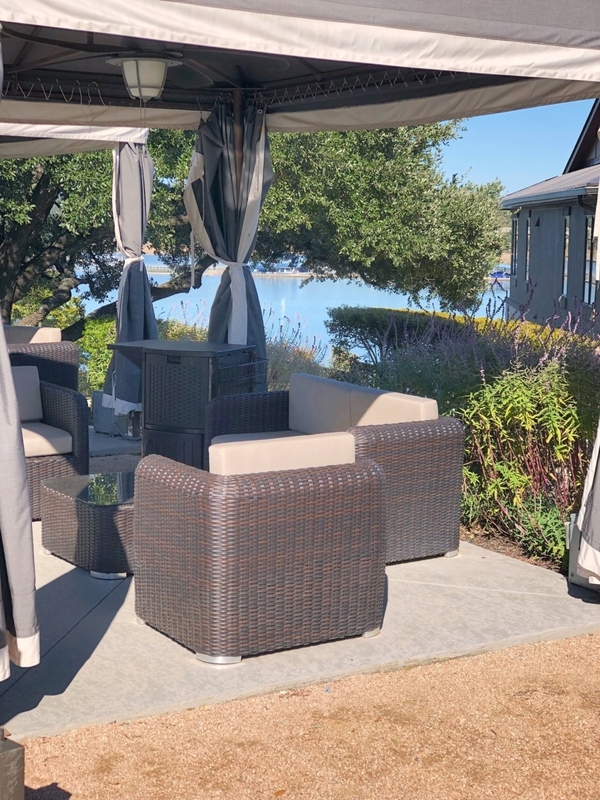 We enjoyed soaking up the silence while drinking a mimosa after our treatments. Be sure to check out their monthly spa specials! For lunch we headed down the street to The Grove Wine Bar & Kitchen, then headed back to enjoy some time in the hot tub. While we were glad to get away and have a girls weekend, I can’t wait to go back this summer with the kids! 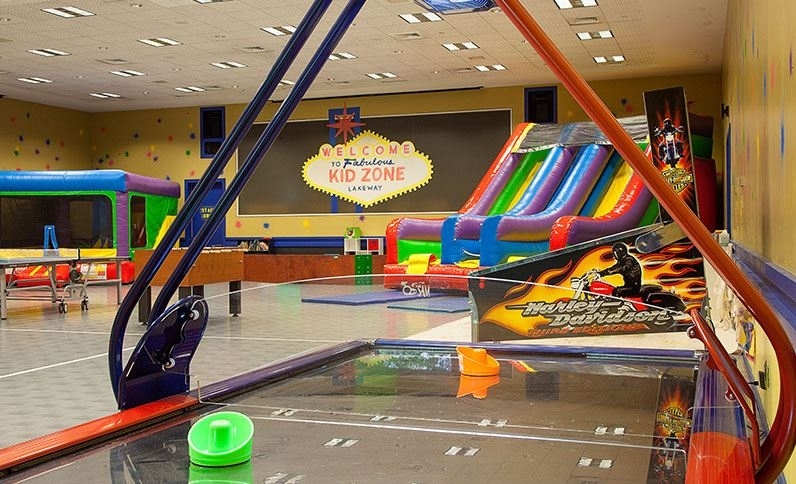 If you kiddos are 5+ years old, they can hang out in the Kid Zone to play while you and your hubby enjoy a massage or dinner together. The entire resort is so family friendly and welcoming. 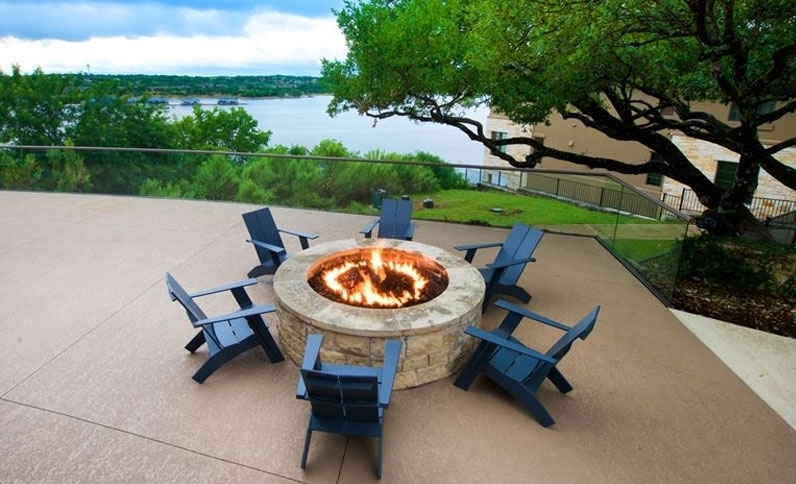 Lakeway Resort and Spa is the perfect getaway for every family! 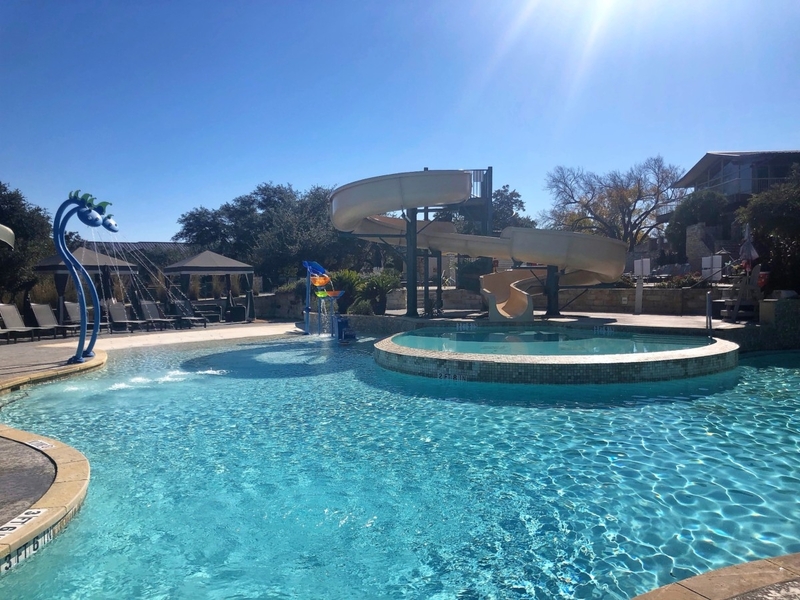 If you need a reboot or want to get away with the kids for a winter staycation, I highly recommend check out Lakeway Resort and Spa.